Welcome to tranquility. Great family home and neighborhood on preserve/canal lot. 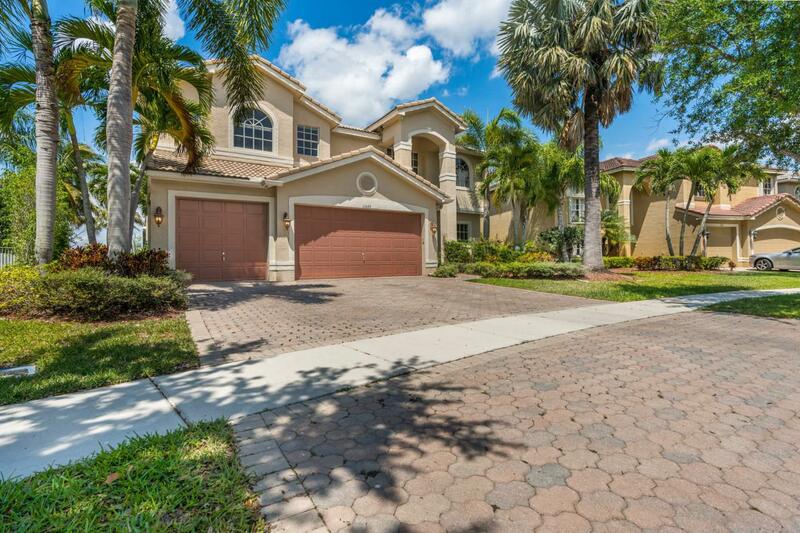 This home boasts 5 bedrooms & 4 baths. One complete bed and bath on 1st floor for guests/in-laws (or home office) & 4 more upstairs. Spacious master suite leads out to a large covered balcony with sweeping unobstructed views over-looking a serene nature preserve that has been known to feature deer and other exotics. This home has a pool with one of the largest backyards in the community which is great for kid activities as well. The open kitchen/family room floorplan is ideal for entertaining. Some updates include new master shower, laminate flooring up steps and on 2nd level, large custom closets, stainless refrigerator. Saturnia sits across the street from both an a-rated elem. & middle school.The clubhouse was recently renovated and features a state-of-the-art gym and a large heated lap pool and hot tub. Two har-tru tennis courts were recently resurfaced, basketball court, kid center and more. Saturnia is less than 1.5 miles to the jewel of the palm beach county park system, south county regional park, which features a water park, golf course and many fields for various other sports. This is the perfect family home and community. Check it out before it's gone. Floor plan under "documents"
Listing provided courtesy of Compass Florida, Llc.